Chinese President Xi Jinping has arrived in Islamabad along high-delegation comprising businessmen and senior government officials. President Mamoon Hussain, Prime Minister Nawaz Sharif, COAS General Raheel Sharif, Defense Minister Khawaja Asif were present on Noor Khan airbase to receive the Chinese president. On this special occasion, guard of honor was presented to the chief guest and JF-17 thunder fly past parade for Chinese president. The whole city was decorated with banners and flags demonstrating Pak-China friendship. Flags of both two countries were waving to say welcome. The visit has immense importance for both countries as it is expected o roll out nearly $28 billion for the first phase of the $45billion flagship Pakistan-China Economic Corridor (PCEC) Project. Chinese president will address the joint session of parliament and the main purpose of this visit is to enhance the economic relationships between the two countries. He will sign energy projects to help Pakistan to overcome energy problems while the worth of this project is about $46. Another deal would also be signed in which China will sale submarines to Pakistan which worth is about $4 billion. Pakistan and China will sign Memorandam of Understandings (MoUs) in different areas during Mr Jinping's visit. Pakistan and China have deep relationship with Pakistan. 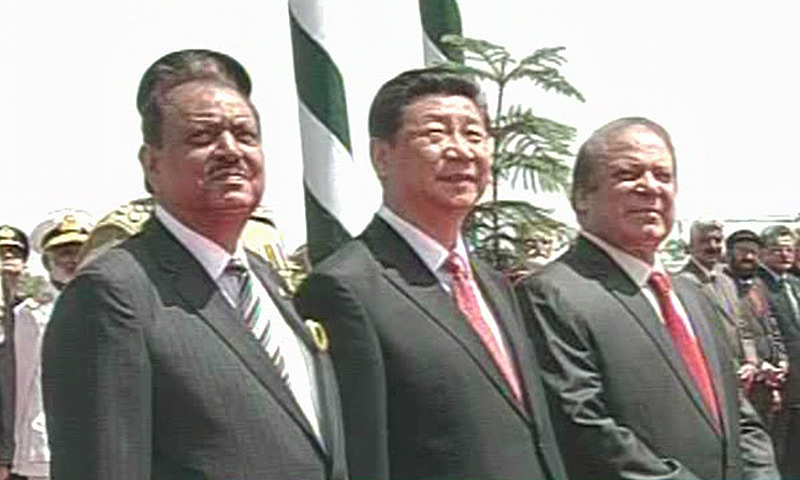 Pakistan-China friendship is regarded as one of the great examples of long-lasting alliances in World history. People have compared the strong bond between the two countries to be deeper than oceans, higher than the Himalayas and ‘sweeter than honey’.